Boeing and SpiceJet celebrated the delivery of the carrier's first 737 MAX 8. The airline plans to use the 737 MAX to expand and standardize its fleet, while leveraging the jet, based on its technological advances for efficiency, to reduce fuel costs per airplane by US$1.5 million a year. This is the first of up to 205 planned 737 MAX deliveries for SpiceJet. In preparation for its new 737 MAX, SpiceJet leveraged Boeing Global Services’ flight simulator and maintenance training. The airline also employs Onboard Performance Tool, powered by Boeing AnalytX, which allows flight crews and ground personnel to perform real-time calculations based on current weather and runway conditions. The 737 MAX 8 is part of a family of airplanes that offer about 130 to 230 seats and the ability to fly up to 3,850 nautical miles (7,130 kilometers) or nearly eight hours of flight. 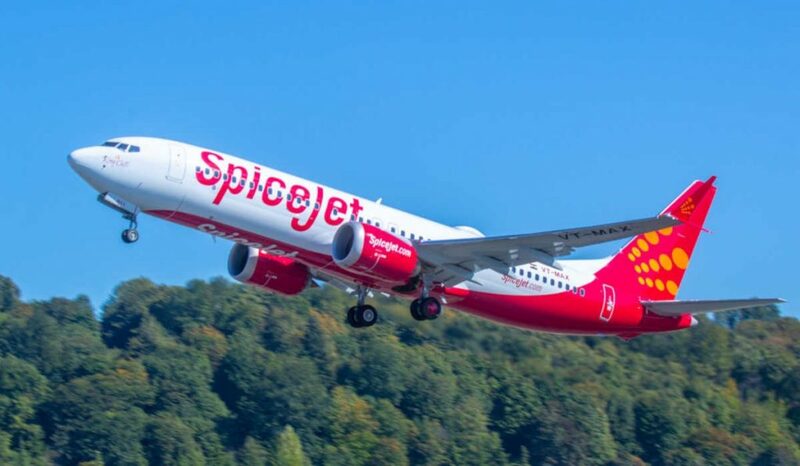 For SpiceJet’s full fleet of up to 205 airplanes, the MAX will emit up to 750,000 fewer metric tons of CO2 and save up to 240,000 metric tons of fuel per year, which, according to Boeing, translates into more than US$317 million in cost savings annually. Boeing continues to explain the MAX 8 will have the lowest operating costs in the single-aisle market with an eight per cent per-seat advantage over competitors. The 737 MAX is the fastest-selling airplane in Boeing history, accumulating more than 4,700 orders from 104 customers worldwide.